The temperatures are soaring through the roof, the scorching sun is definitely making its presence felt, and your heart is aching, mind is stirring and feet are itching! Arent they, and why not? Its summer, the time to stroke your wanderlust and move away from the maddening crowds of the city, to virgin meadows, flowing streams, snow-capped mountains, and valleys of flowers. We have compiled for you a list of exotic, beautiful, adventurous and fun–filled Indian destinations that you have to visit before the cold winter months sink in. So here are your dream escapades for summer and monsoon. 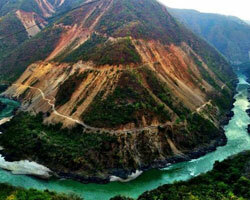 Bengal does not only have the diamond called Darjeeling in its crown. 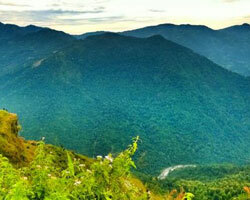 68 kms from Darjeeling lies a picturesque and bustling hill station called Kalimpong. Wild flowers, clouds playing hide and seek, the roaring Teesta River, swirling roads, and colonial cottages, all protected and guarded by the magnificent Himalayas- thats Kalimpong for you. Untouched, mysterious, incredibly beautiful, this hilly town will mesmerize you. A perfect getaway for your summers and monsoon, have the most relaxed and calming vacation in one of the colonial properties like Morgan House, Silver Oaks or the quaint Soods retreat. Visit the multiple monasteries, and taste some wonderful local and European cuisine in these summer retreats. Even if it is some monsoon mush you are looking for, this is the destination to hit before the winters strike. Uttarakhand is beyond beautiful. Its not called Devbhumi or land of the Gods for nothing. Whether you are talking about the pilgrimage destinations of Kedar and Badri, the magical hill-stations of Nainital and Mussorie, or the yogic and adventure retreat of Rishikesh, Uttarakhand will leave you soaked in divinity, purity and enlightenment. Opting for one of these destinations, and giving the other a miss will leave you with a constant longing. Would you leave the delightful boating of Nainital, or the out-of-the-world experience of sipping tea at 12,000 feet high at Lal Tibba Mussorie, the world class river-rafting and bungee- jumping of Rishikesh, or the impenetrable piousness of Kedarnath? Which one will you choose and which one will you drop this summer? Choose an Uttarakhand tour package instead, that lets you see the myriad beauties of this heavenly land and truly makes you realize why this is called Devbhumi. But beware ,because your heart will be stolen in these mountains and meadows of Uttarakhand. Blessed with some of the most scenic locations in the world, and climatic conditions that will make you forget its summer, Himachal is a delight for sore eyes and sun-burnt skins. Indulge in the serenity of Kasauli, the land of churches, orchards, and snow-clad peaks, or visit the honeymooners and trekkers paradise, Manali, Himachals most popular hill station along the banks of the majestic Beas river. Find your own slice of heaven in the Mini Switzerland of India, lush and gorgeous Khajjar, or experience natural springs and a Victorian home away from home in the much loved hill station Dalhousie. Curl up with a book in one of the quaint, colonial cafes of Shimla on Mall Road, or have the greatest adventure of your life trekking through Solang valley, or the famed Kunzum La Pass. You can also choose to simply do nothing, but just lose yourself to the spectacular view of the Chandratal lake. No matter what you do or dont do Himachal will take your breath away. Parts of Himachal remain inaccessible and restricted to tourists during winter. So the best time to experience this wonderland is between May to October. 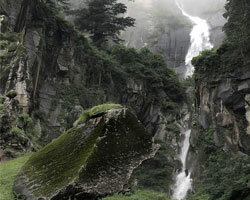 So hurry up and start inquiring about your Himachal tours and packages now! Kashmir is often referred to as the most beautiful place in India, the jewel in Indias crown, and a place of unparalleled and unimaginable beauty. How does such a place sound for your summer or monsoon vacation? Think clear blue skies, idyllic landscapes, fields of beautiful flowers, rugged mountain tops, stunning water bodies, soft cottony snow, and the delicate feel of cashmere and wool against your skin! You heard that right! Whether you are visiting Kashmir in summer, monsoons, or winters, pack woollens because you are going to need them whether you are camping at Ladakh or enjoying an exquisite stay at a Shikara in Gulmarg, or simply a rejuvenating walk in the hills of Srinagar. Dont forget to take in the delectable local flavors and dress up in traditional Kashmiri gear. Salute the battleground of our bravehearts and pay your own silent respect to the grand Himalayas standing tall. 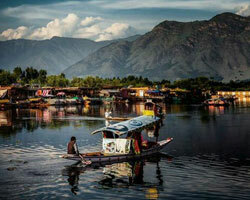 Inquire about Kashmir tours and start planning your summer getaway to this revered and enchanting land. If you are one of those who like to take the off-beat path, and prefer the calmer monsoons than the tourist-heavy summer and winter seasons to travel, Kerala should be your chosen destination this monsoon. Whether you are travelling with friends, family or your bae, Kerala offers something for everyone. 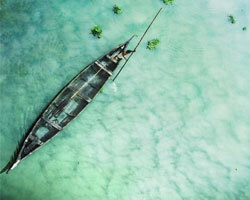 The spicy Kerala cuisine and the mystic backwaters are perfect to be enjoyed with friends. Besides the spice, and the banana boat races are great conversation starters too! You might end up actually making a few new friends in Gods own country. Kerala is a great leisure destination with its welcoming house-boats, home stays and luxurious resorts. All this makes it an ideal leisure destination for the family too. Visiting one of the famed Ayurveda retreats in Kerala in the picturesque monsoons can be a beautiful break from the cacophony of the city, and can rejuvenate your body and mind. The opulent cultural and religious elements in the state also make it a good family destination. Check out Kerala tours if you are looking to vacation with your family. If you are thinking vacationing with your partner, monsoons are just oh-so-romantic. Kerala in monsoons is a ravishing beauty that will be a perfect bacground to your romantic rendezvous. Walking hand-in-hand on palm-kissed beaches, witnessing sunsets, relaxing on the houseboat in the backwaters, and sipping wine at night under the stars laden sky. What could possibly be more romantic! I am booking a Kerala tour monsoon package today, and I suggest you check out some monsoon packages yourself! You deserve a fantastic holiday and this is your chance! 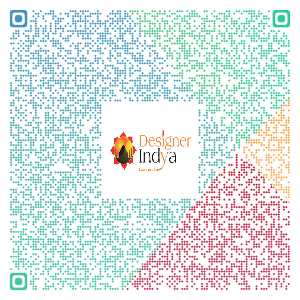 Designer Indya is an initiative by Travel Designer Group which offers you a hassle free travel experience to India. Designer Indya is the first choice of travelers. From Kashmir to Kanyakumari, Designer Indya excels in satisfying the needs our individual clients with our exceptional and unmatchable services. Designer Indya also operates as an off-site travel department, helping our clients to plan and organize cost-effective travel according to their wishes. Visit Designer's profile on Pinterest.